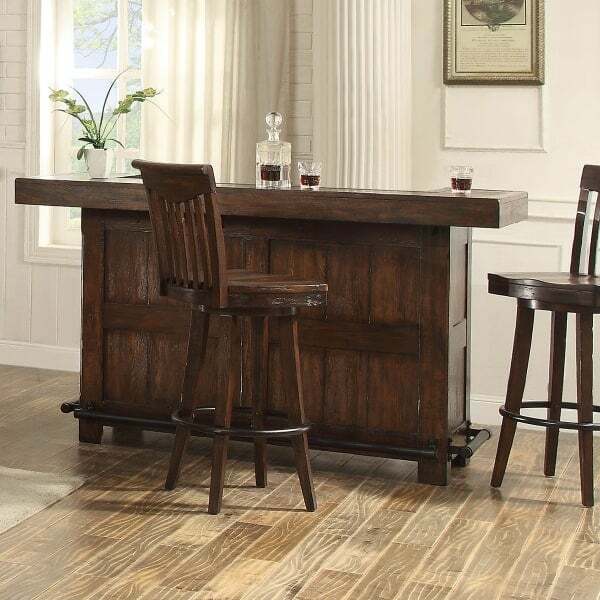 The featured bar comes with the bar only, but there are several other pieces that match it perfectly, like Gettysburg stools, a back bar and an entertainment hutch. 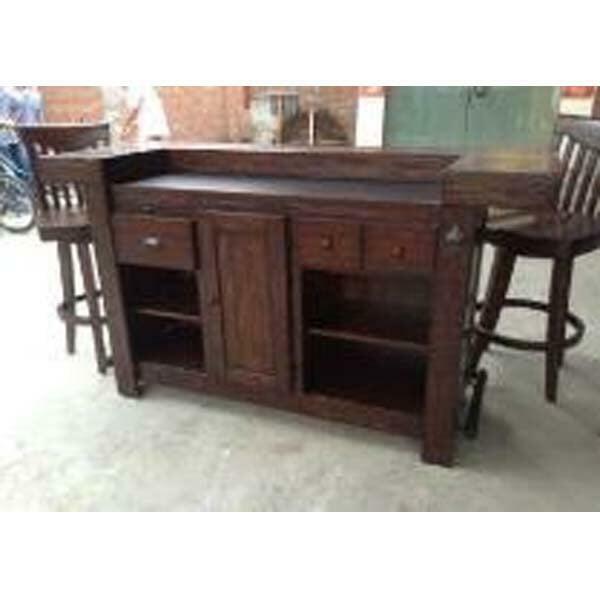 You may build an entire functional and impressive bar room with Gettysburg furniture alone. The bar and all other matching furniture pieces are made with hardwood that is finished in a heavily distressed chestnut oak finish. The finish is applied by hand for perfection. The guest-side of the bar features ample space for moving around, dining, drinking, and conversing together. The bartender has a fair share of comforts, too, like a laminate workspace, a laminate working space, a bottle opener, plus drawers, doors and adjustable shelves for convenience. Interior design is only as complicated as you make it. ECI Furniture can help you to simplify things with classic styles and built-in luxuries.